Viruses learned how to better infect people over millions of years of evolution; chemical engineer and MBA J. Joseph Kim is using their knowledge to fight other diseases. Kim figures touse the viruses’ strategies as the basis for new drugs for cancer and inflammatory illnesses. 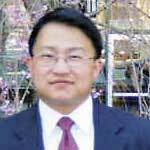 In 2000,after several years at Merck, Kim founded Viral Genomix in Philadelphia, for which he has raised $1 million. “Since I was in high school I wanted to start my own biotech company,” he says. His company may soon have its first drug: Kim has tinkered with a protein called vpr, which helps the HIV virus replicate, and has coaxed it to trigger cell death in more than 50 different cancer cell lines. So far, the protein has worked in laboratory cultures and in mice and macaques; Kim intends to begin testing it in human cancer patients within a year and a half. To that end, Viral Genomix has established a partnership with the University of Pennsylvania. Kim is also developing a drug based on vpr that can limit the proliferation of the immune system cells that cause rheumatoid arthritis and psoriasis.